Starting deep in the field for Saturday night’s feature, Ryan Semple made his way to the front for a top-five finish. The pair of qualifying heats did not show the speed the No. 64 was capable of, as starting in the back for both, Semple scored a seventh and a sixth. Starting 15th in the feature, Semple began to make his way forward, getting alongside Dan Archibald for eighth at Lap 9. While he was unable to get the spot, he’d move into eighth following a pass on Herb Walters 10 laps later. While slipping back to ninth in a slew of mid-race contact, he’d be able to get alongside Tiemersma for eighth at Lap 25. He’d make the pass a few laps later, moving up into seventh with five laps to go. While set to finish just outside of the top-five, Semple got another shot when the caution flew on the last lap for a car going around. The late-race restart played to his advantage, as he was able to make a couple passes, crossing the finish line in fifth place. It marks his second straight top-five following a fourth-place finish a couple weeks ago at Sauble Speedway. 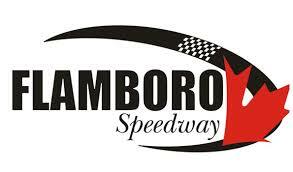 The Canada Day long weekend will see Semple return to the beach, as he will partake in the double-header at Sauble Speedway. A regular night is scheduled for Saturday June 30, followed by the second round of the Great Lakes Concrete Series on Sunday, July 1. Semple Motorsports is proud to be supported by Auto Trim Design, Paul Sadlon Motors, The Co-operators Lila J. Sloss & Associates, Clearview Heating & Air Conditioning Supply, Streamline Race Products, and CRP. Be sure to like the Semple Motorsports facebook page at https://www.facebook.com/Semple-Motorsports-64-615482131938462/ to keep the latest news.